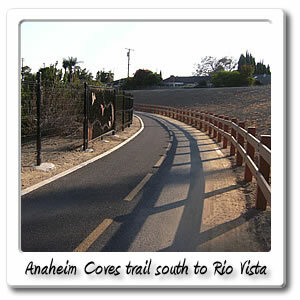 Welcome to Anaheim Coves at Lincoln on the Santa Ana River bicycle trail. 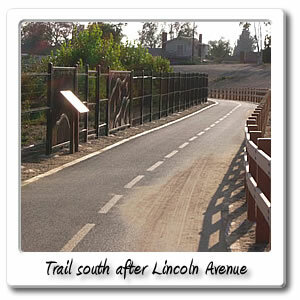 Considered the Main Entry Point for the Anaheim Coves trail, is the Lincoln Avenue entry point. 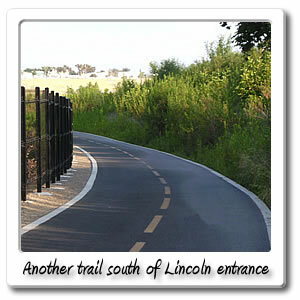 Which is just about 1000 feet and barely a minute off of the Santa Ana River Trail. 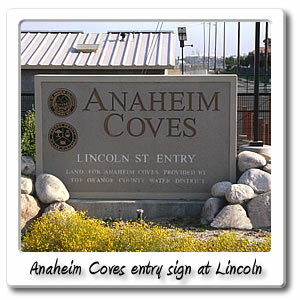 The Lincoln Avenue entrance to the Anaheim Coves trail is right at the monument sign which doesn't have an address. The address would be somewhere around 3000 East Lincoln Avenue, in the City of Anaheim. If arriving by car, upon entering the driveway for the Anaheim Coves parking lot, there is a gate that's locked when it's dark. 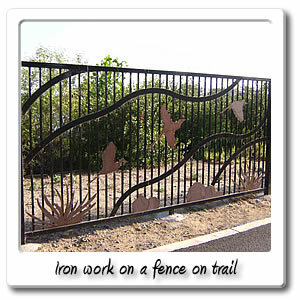 There is also another gate once you go through the parking lot and get to the Anaheim Coves trail. If there isn't enough parking here, you can go 1000 feet East on Lincoln Avenue, and there will be more parking at the Santa Ana River Trail. 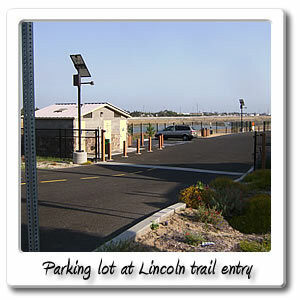 Getting back to the parking lot which is ADA compliant along with the rest of the trail. There are 2 handicapped parking spaces with a lot of room on their sides, in addition to the 11 regular parking spaces. There is a men and womans restroom and drinking fountain. 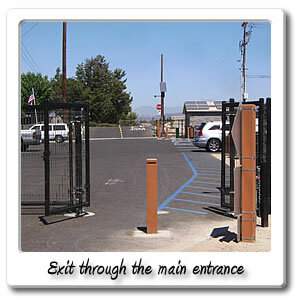 In the back corner of the parking lot is two posts and a bar, which is a hitching post which you tie horses up to. The Anaheim Coves Trail doesn't even start until you go South through the parking lot for 266 feet. 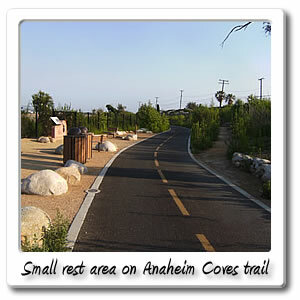 Then you will reach another gate that has a small opening to the 14 acres that make up the Anaheim Coves trail. 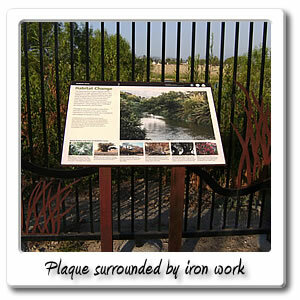 After that is another gate about 1000 feet South and goes to the unofficial entry point at South Street which runs East and West. 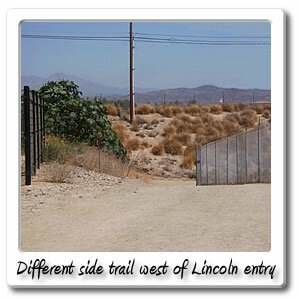 The Anaheim Coves trail starts off going straight as it goes South toward Ball Road, then it starts to turn to the West for about 1000 feet from the narrow gate, before there's another gate you can see they to shut at night. 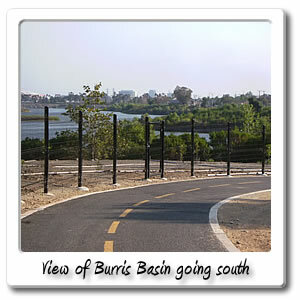 Right here is the unofficial South Street entry point and there's a dirt trail that goes between the Burris Basin and Lincoln Basin. 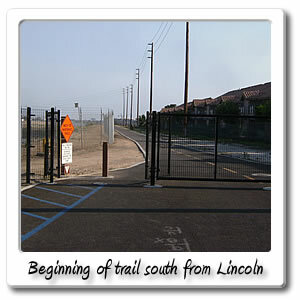 If coming North up the Anaheim Coves trail from Ball Road right after seeing the dirt trail and the trail for the South Street entry point, the Anaheim Coves trail starts to go to the East uphill slightly, very quick the trail turns to the North for a few hundred feet before it comes up to the gate, with the narrow space to pass through. You then have to go through the parking lot for 266 feet before you can get to Lincoln Avenue, if you go West there's not much to offer as far as food and drink, until you get to the Village of Orange about 3 miles later. 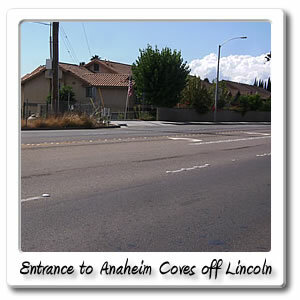 If exiting the Anaheim Coves trail, at Lincoln Avenue, and going left which is West on Lincoln Avenue, you will have to go on the sidewalk and then cross the street as, it's posted at the end of the Anaheim Coves parking lot, that you can only turn right. It's very close when you finally cross the street and head West on, it will be less than .4 miles and 2 minutes and there will be a bar, Del Taco, Mexican food, Liquor store and other shops approaching Rio Vista Street. On the other corner is Carl's Jr. and some shops. The other corner has a 7-11, more Mexican food, and a few shops next to them.